There are several ways that bed bug treatments can take place; chemical and thermal treatments appear to be the most effective to this point. Mattress encasements also have a great role to play in eliminating bed bug infestations, as the majority of bed bug problems are associated with mattresses and box springs. Bed bugs are primarily nocturnal insects, but they will adapt to the sleeping patterns of their chosen host. Bed bugs feed exclusively on blood. They will live primarily in cracks and crevices, including head boards, bed frames, mattresses, and box springs (close proximity to food source is ideal). However, because bed bugs can move swiftly on horizontal and vertical surfaces, they may also nest virtually anywhere. We have found bed bugs (and their eggs) everywhere from bathroom cabinets to behind picture frames, couches, anywhere their hosts (humans) hang out for long periods of time. Bed bugs can travel on suitcases, bags, backpacks, or other items that are brought in or out of a home. Therefore, it can become extremely difficult to try to guess where a current or previous infestation originated. Bed bugs can do significant damage to your peace of mind and psychological well-being. While they don’t cause any physical or structural damage to the homes that they infest, many people will exhibit a physical reaction to their bite. Not everyone will react to bed bug bites in the same fashion; some people experience delayed reactions to bed bug bites, meaning that days or even weeks may elapse before they are aware that there is a problem. Individuals with compromised or weaker immune systems may not react at all to bites. 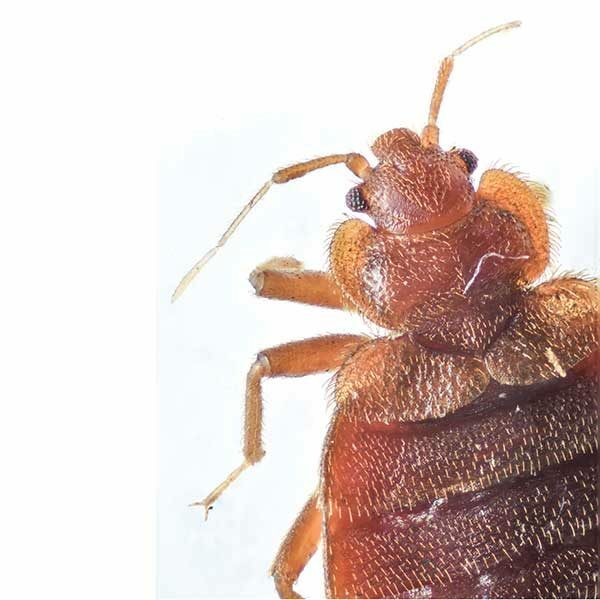 While not always the case, there is a frequency for bed bug bites to appear in rows or clusters. 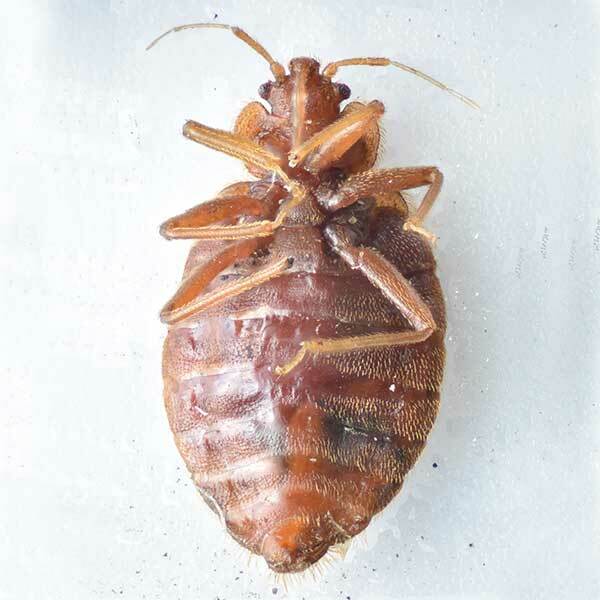 A single bed bug may be responsible for numerous bites. To date, bed bugs have not been found to be an effective transmitter of disease. However, there is still significant research to be done in this regard. Since the mid-to-late 1990s, bed bugs have made a significant resurgence throughout the United States. Bed bug eggs are only 1 millimeter in length, growing into an adult bed bug that measures around ¼” long. 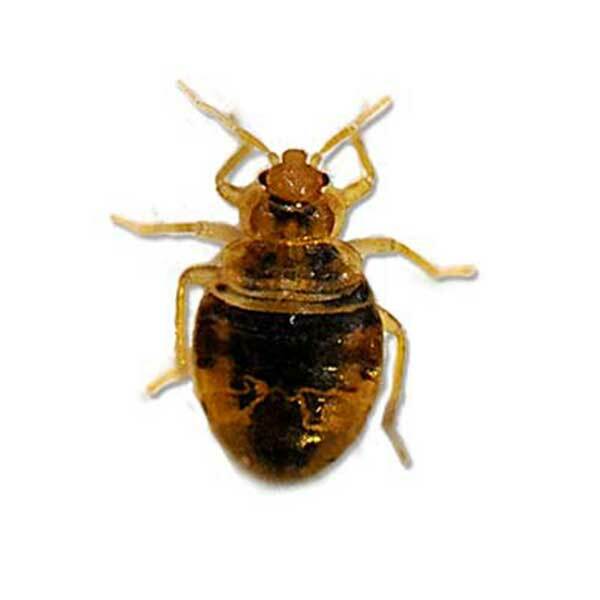 Bed bugs typically have a reddish-brown color and an oval-shaped body. Adult female bed bugs will lay up to five eggs per day, which will take 7-10 days to hatch. Bed bugs may go a week or longer without feeding, and, depending on environmental conditions, may even be able to go months between meals. Inspection. Inspection for bed bugs is by far the most important step. Even if you are already seeing bites, inspection still needs to take place before bed bug treatment should be considered. Locally, Puget Sound area residents also have frequent issues with fleas and tropical rat mites, which will both leave bites on their hosts. You want to be sure that the issue is indeed related to bed bugs before scheduling any kind of treatment. 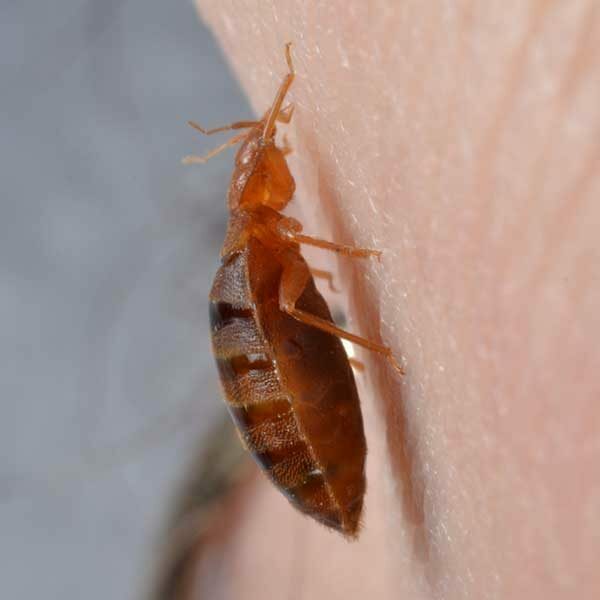 Bed bug inspections also enable us as a company to be flexible with treatment costs; because all homes are different, different treatment methods may be possible in some homes where they may not work in others. Effective inspection gives us a chance to put together a specific plan of action for your home. Treatment. Once a thorough inspection has taken place, a specific treatment plan can be devised for implementation. Treatments can be either thermal or chemical, and recommendations will be made at the time of inspection as to which option(s) will be most effective. Your service technician will also give you specific instructions before treatment as to the preparation that you will need to perform. This will probably include removing sensitive or personal items prior to treatment, removing open food, dishes, and toiletries, and staying out of the treated areas for at least 4 hours. Follow-up. A good pest control company will contact you either in person or over the phone after treatment to see how things are going. Bed bug treatment is not an exact science; because bed bugs can be introduced and re-introduced into a home environment, we can’t always guarantee that bed bugs will be completely eradicated from the home. But it is important that we know how effective treatment has been, as well as to check up with you to see if you have followed through with any recommendations from our technician.